Personally, I think any parent who actually wants their child to become famous is probably insane. Why would anyone run the risk of seeing their precious baby end up yet another show business cautionary tale like Amanda Bynes, Lindsay Lohan, Dana Plato or Michael Jackson? How many child actors need to end up broke, homeless, addicted to drugs, in prison or worse, before we wake up and realize this might not be such a good life choice for our offspring? Sure there are some examples of people who have broken through the child actor's curse. But for every Elijah Wood, Shirley Temple or Natalie Portman, there are hundreds… maybe even thousands of long forgotten stars who never should have been put in front of a camera. On the other hand, there's no question that a successful child actor has the potential to absolutely rake in some serious cash. By the time Macaulay Culkin turned 14, he had already been paid over $23 million off just five movies. Shirley Temple earned the inflation adjusted equivalent of $34 million before she turned 12. Frankie Muniz pocketed a cool $40 million before turning 21 thanks to Malcolm in the Middle and a brief film career. These three actors were especially lucky because, for whatever reason, by the time they came to collect their hard earned fortunes, the money was still there. They may have sacrificed having a normal childhood, but at least they had millions of dollars to show for it. How would they have felt to discover that a business manager had blown half the money on a series of bad investments? Or worse, imagine waking up one day and learning that your $70 million fortune had been completely squandered on extravagant cars, clothes and jewelry… by your own parents! That's what happened to 1920s child actor Jackie Coogan. His story was so shocking that it actually changed child actor laws forever. Chaplin was blown away by Jackie's natural performance skills. Despite being just four years old, Jackie had an uncanny ability for mimicking everything he saw and heard. Right there on the spot, Charlie gave Jackie a small part in his next movie "A Day's Pleasure". In 1921, Charlie gave Jackie his first starring role in the movie "The Kid". The Kid would go on to earn more than $2.5 million at the box office ($32.5 million adjusted for inflation), enough to be the second highest grossing film of the year. For his efforts, Jackie was paid $75 a week ($957 with inflation) throughout the movie's 36 week production schedule. Jackie was also given a $5000 bonus ($65,000 after inflation) upon the movie's completion. In total, Jackie earned approximately $100,000 inflation adjusted dollars on The Kid. Not bad for a seven year old! For his next movie, 1921's "Peck's Bad Boy", Jackie earned a weekly salary of $1000 ($13,000 per week after inflation). After appearing in 1922's blockbuster film version of "Oliver Twist", Jackie became a full blown movie star. His appearance in Oliver Twist marked one first instances of any star appearing heavily on merchandise. Fans everywhere raced to buy Jackie Coogan themed dolls, whistles, stationary, records, even peanut butter. In 1929, Jackie landed the deal of a lifetime when Metro-Goldwyn-Mayer paid the 15 year old $500,000 to go under contract with the studio. That's not $500,000 after adjusting for inflation. That's $500,000 in 1929 dollars, aka $7 million in today's money. But that's not all, MGM also offered to give Jackie 60% of all of his movie's profits. His first MGM movie, 1930's "Tom Sawyer", was the biggest box office draw of the year, taking home more than $11 million ($153 million today). When not working, Jackie traveled back and forth between Los Angeles and New York by train to do promotion. When he traveled, he did so in a private rail road car paid for by MGM. 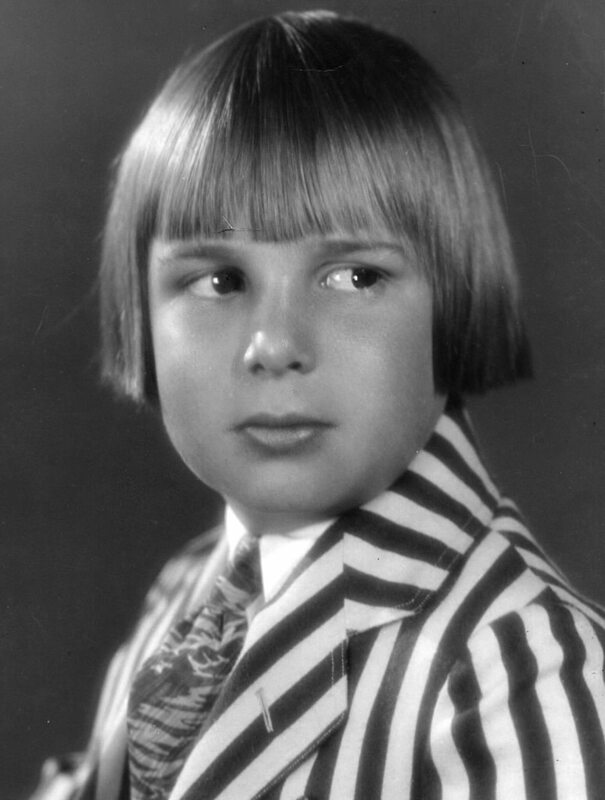 By the time Jackie Coogan turned 17, he was one of the biggest movie stars on the planet. And for his efforts, he had been paid approximately $4 million. After adjusting for inflation, that's the equivalent of just under $70 million in today's dollars. Awesome right? Time to party! Unfortunately, not so much for Jackie Coogan. Under the laws at the time, Jackie was not eligible to receive his money until he turned 21. When Jackie finally reached that age, he was absolutely stunned to discover that most of his money had been completely squandered by his mother and step father Arthur Bernstein. Bernstein married Jackie's mother after his father John Coogan died in a car crash a year earlier. A car crash that Jackie barely survived himself. Bernstein also happened to be the family's longtime lawyer and financial advisor. As Jackie would come to learn, his mother and step father had blown through the entire fortune purchasing extravagant clothing, jewelry, expensive cars, diamonds, mansions and more. For their main residence, Bernstein and Jackie's mother purchased the largest house in Los Angeles. A mansion that was one of the first private residences in California to have a swimming pool. Technically speaking, approximately $250,000 ($4 million after inflation) was still left in his accounts. Incredibly, as if blowing through nearly 95% of Jackie's hard earned money wasn't evil enough, his mother refused to hand over any of the remaining money. She was totally unremorseful, literally telling the press: "No promises were ever made to give Jackie anything. Every dollar a kid earns before he is 21 belongs to his parents… The law is on our side, Jackie will not get a cent of his earnings". After agonizing over what to do, Jackie finally made the heartbreaking decision to sue his mother. The lawsuit was successful, but after it was all said and done Jackie was left with just $35,000. That's equal to $582,000 out of a nearly $70 million fortune. There are two silver linings to this story. The first silver lining is that Jackie eventually went on to have a very successful film and TV career. He appeared in dozens of films and hundreds of TV episodes between the 1940s and mid 1980s. The second silver lining, and possibly Jackie's most enduring legacy, is the 1939 California Child Actor's Bill. This bill, which amazingly was passed by the California legislature within 48 hours of Jackie's lawsuit being settled, requires that any money earned by a child actor is the sole property of the minor child. Today the law commonly known as "Coogan's Act". Aside from the money being legally designated for the child, the law also requires that employers set aside 15% of a child actor's salary into what is known as a "Coogan account" to be guarded until the child turns 18. So what's the lesson here? All child actors, singers and dancers working today owe a MASSIVE debt of gratitude to Jackie Coogan. Anyone who wants their child to be famous is probably insane, but at least these nut jobs won't be able to blow the hard earned money they never lifted a finger to earn in the first place.